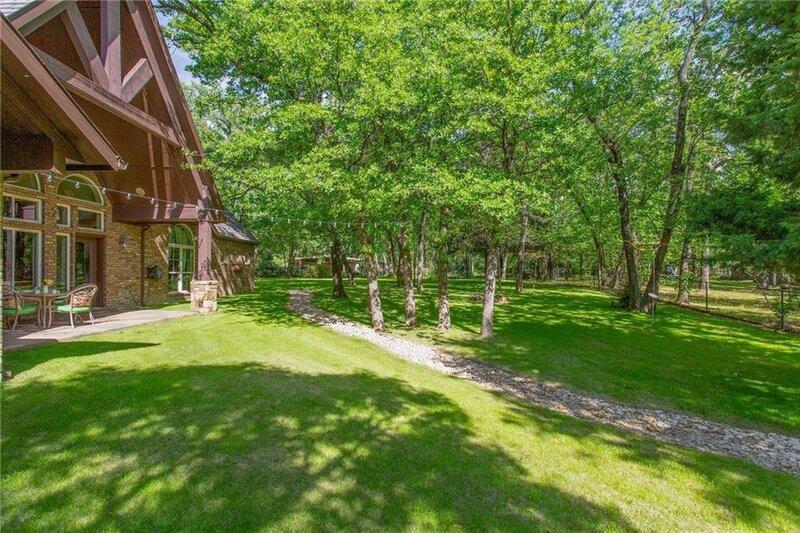 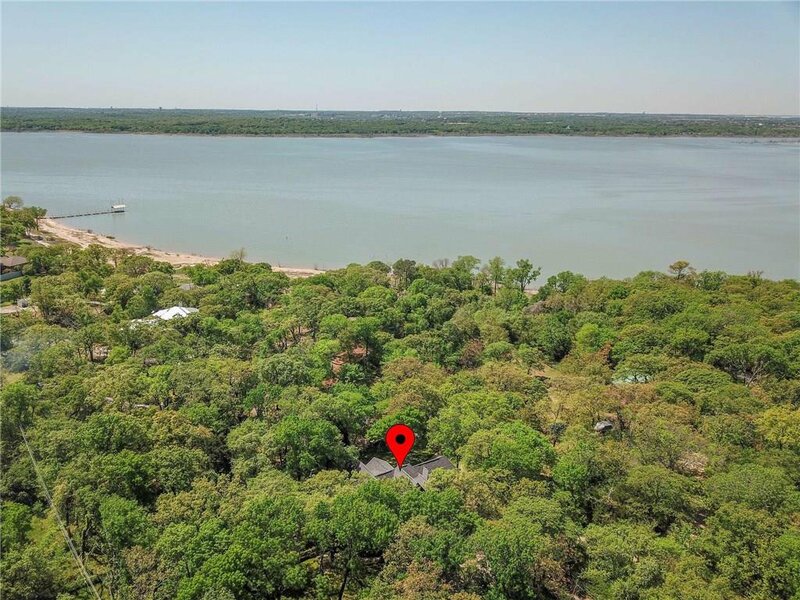 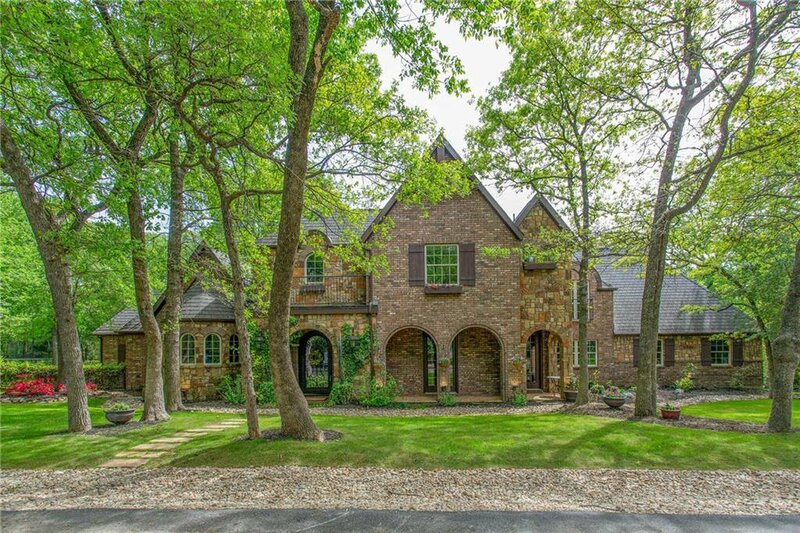 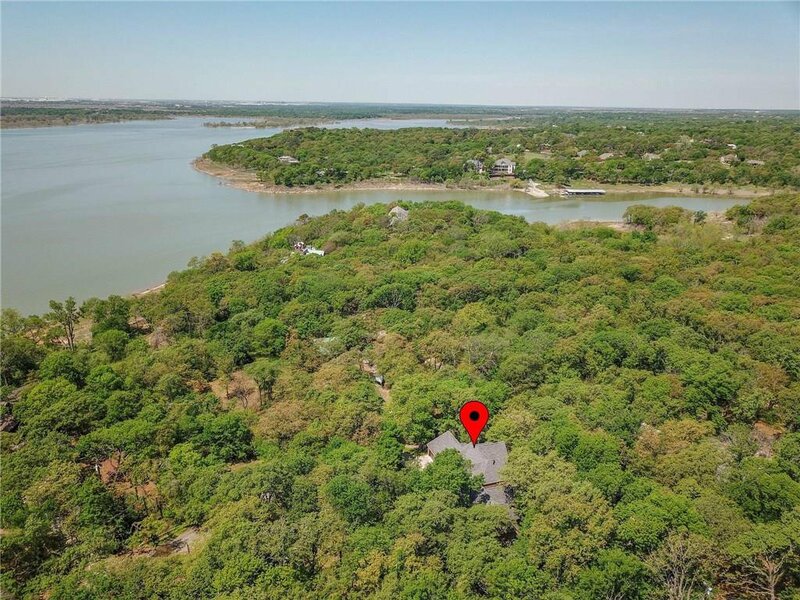 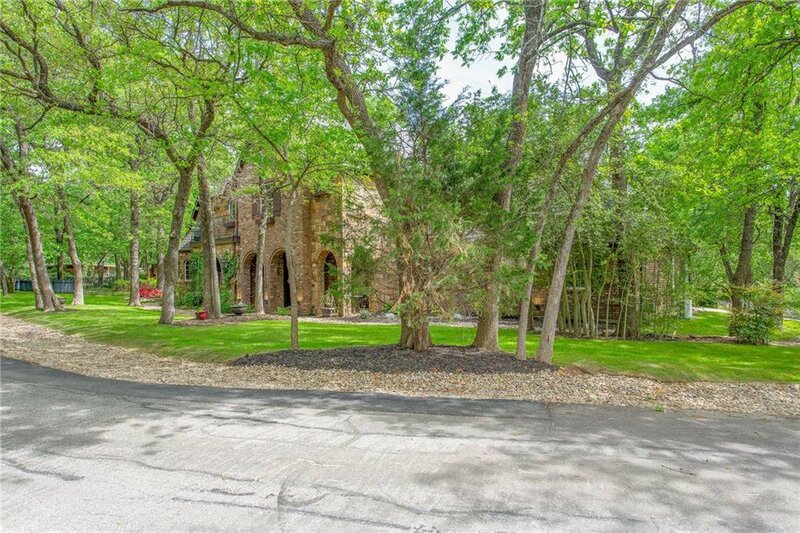 WELCOME HOME to this stunning retreat nestled on large tree covered lot, just minutes from Grapevine Lake & Coram Deo Academy. 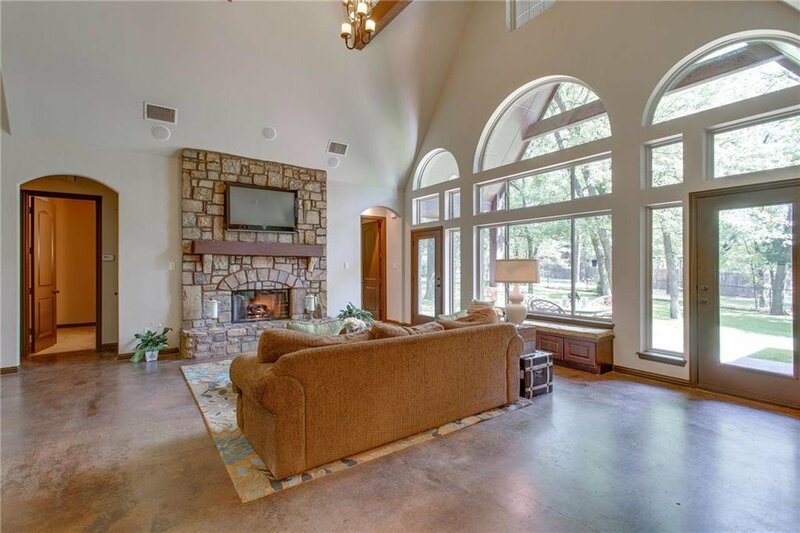 A cathedral ceiling w trusses, curved iron staircase, stone lined fireplace & windows overlooking the backyard create a breathtaking great room. 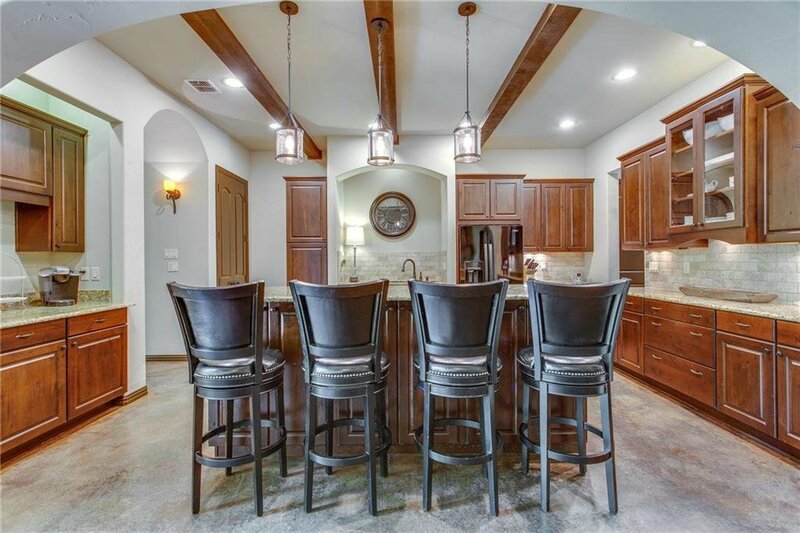 Wood beams carry into the gourmet kitchen w island, gas stove, pendant lighting & elegant cabinetry. 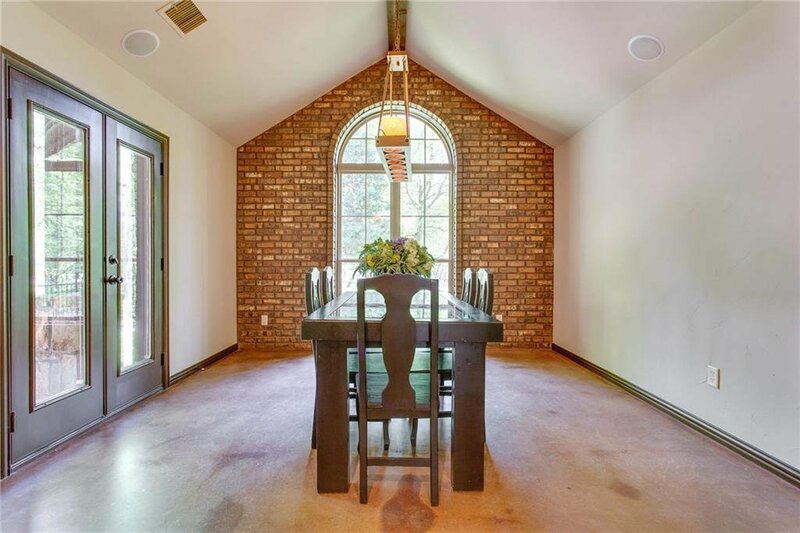 The dining room w vaulted ceiling & brick accent wall is cozy & inviting. 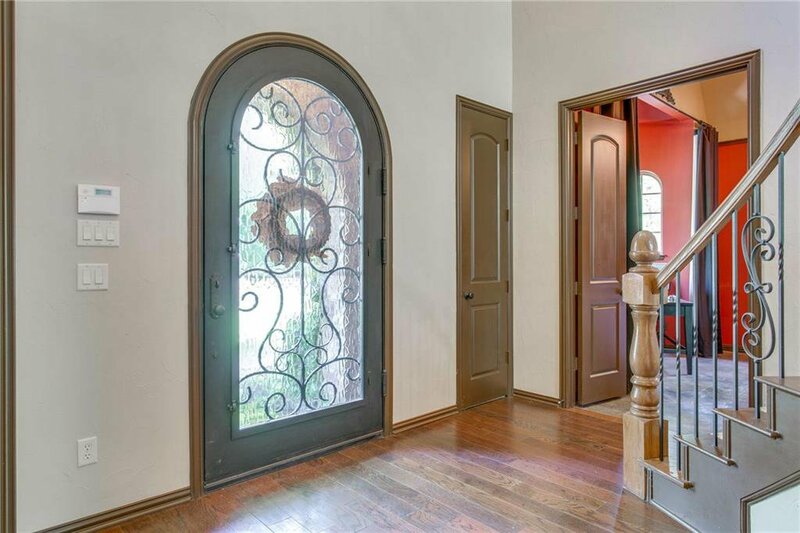 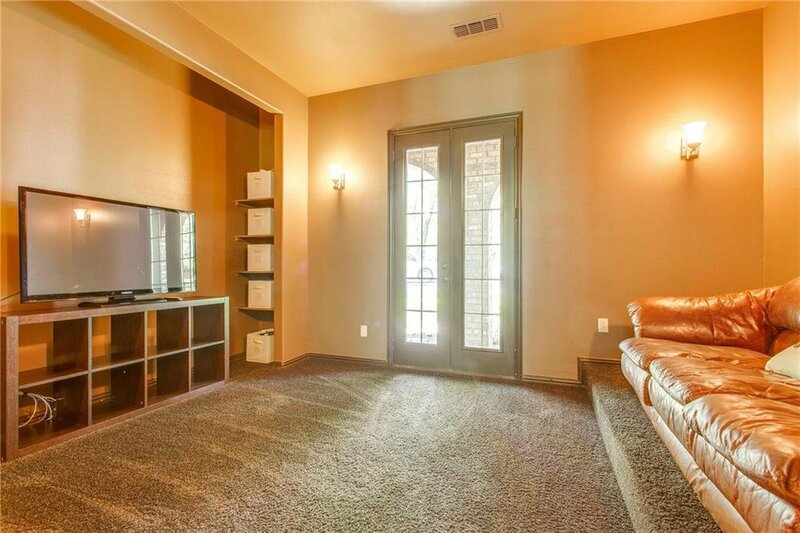 Relax in the downstairs media room w door to private patio. 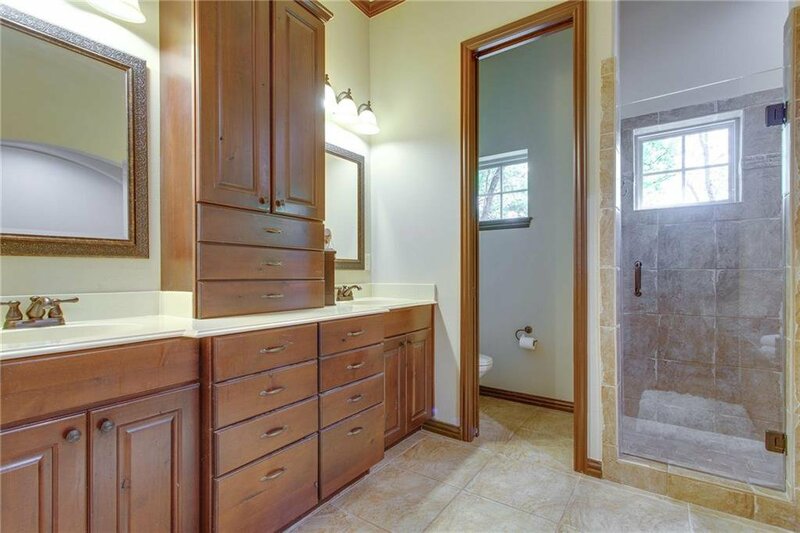 Retreat to master suite w spa inspired bath. 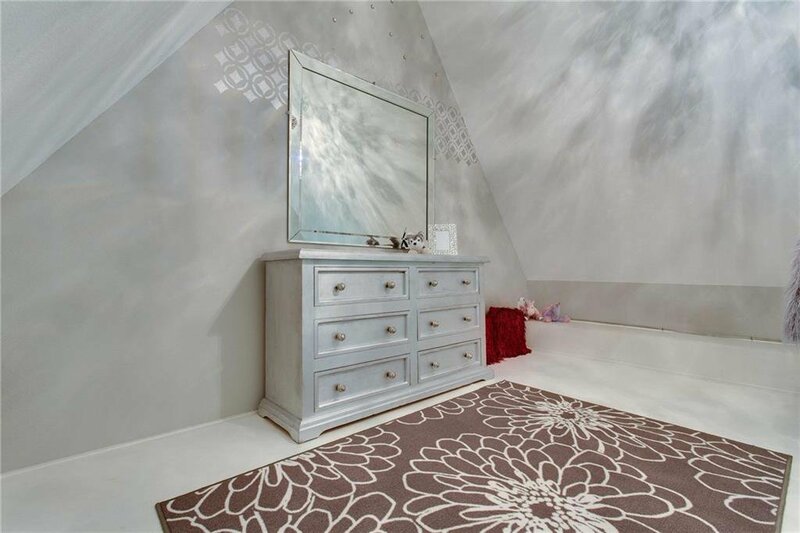 A 1st floor bedroom is perfect for guests or as a study. 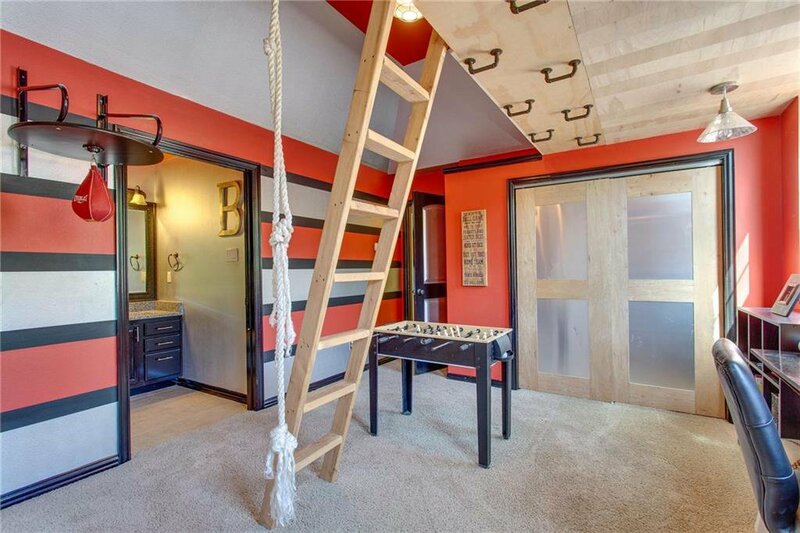 Upstairs are 2 bedrooms connected by a game room. 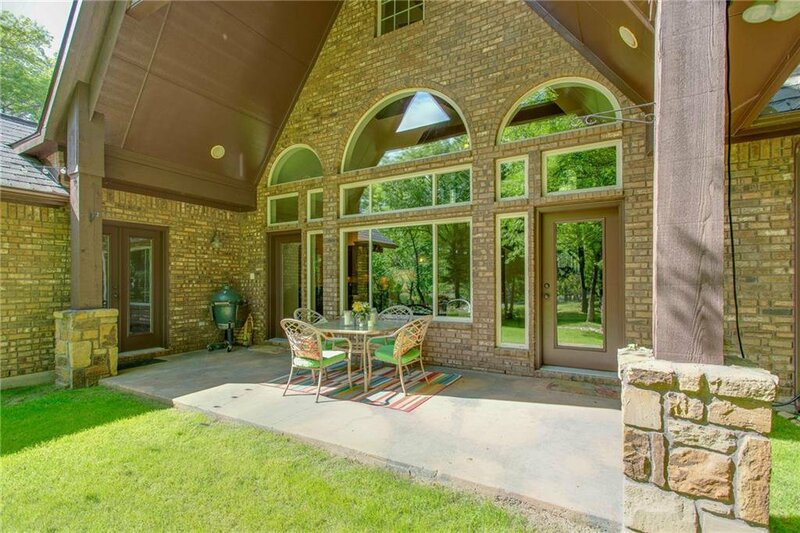 Enjoy the backyard scenery while relaxing on covered patio.